Easy to make and even easier to eat biscuits and gravy casserole is really kinda neat. Growing up, my mom would always wake us up early on Sunday morning with a delicious breakfast casserole all ready to go. Sometimes, that meant French toast, other times that meant pancakes or corned beef hash. However, as kids, our absolute favorite was when she made biscuits and gravy. The gooey gravy slathered over the toasty biscuits. That made all the difference in the world. Now as an adult, I realize that it really is the best recipe. Want to know why? It is prepared overnight! You can do all the food prep, mess and pick up the night before and the morning after, you can just get up and pop it in the oven. You must be eager as a beaver to get your hands on this incredible recipe, right? Right! So, without further ado, head on over to the next page and you’ll find the ingredients and instructions. Enjoy! 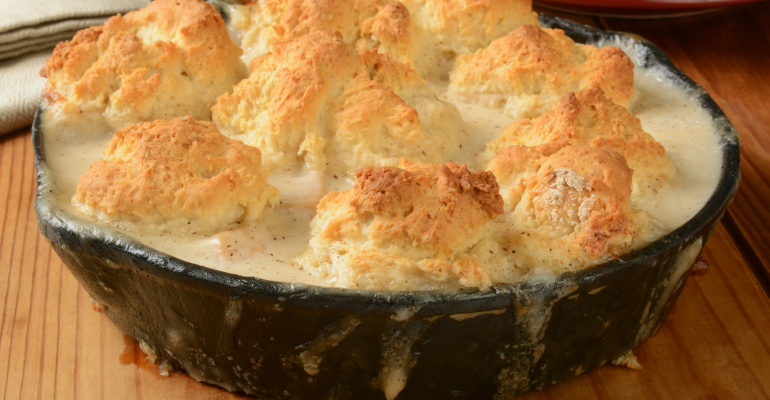 USE THE RED NEXT PAGE LINK BELOW FOR THE BISCUITS AND GRAVY CASSEROLE RECIPE. Quick Tip: Make sure to liberally grease your casserole dish for easy serving.